Read all the books on baby sleep? Endlessly surf the internet searching for the answer to your child’s sleep issue only to be left with more questions than answers? Take a deep breathe…you are not alone. 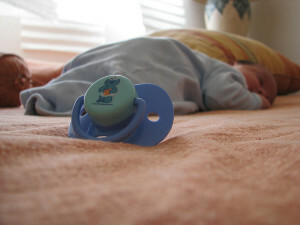 Many parents ask, “Is cry-it-out (CIO) bad for a baby or the only way to teach a baby to sleep well? Which No-Cry method works best so we can all get the sleep we need? Does No-cry work?” It’s very easy to become overwhelmed and confused about whose advice to take on the subject of sleep. There is a very good reason so many experts say different things on the topic. Sleep is not one-size-fits all. When adults have sleep issues we don’t hand them the same pill or plan. Why, then, do most experts assume that all babies will be “fixed” with the same plan? Babies are as individual as adults. Their sleep roadblocks are just as individual as adults. When one baby sleep expert gives one plan of action this expert is giving a plan of action that will likely work for a particular baby within a certain age range. This is where sleep education, not training, needs to be discussed. This is why I call myself a Sleep Educator instead of Sleep Trainer. My focus is on education first and then a plan of action based on a specific baby at a specific age. Education helps parents understand the components of a plan and are therefore able to stay consistent. Many different sleep plans do work and work well. The trick is education to discover what will work for your baby. Understand your child’s development and what normal sleep is at their age. How you sleep parent a 6 week old is not how you sleep parent a 6 month old. Understanding your baby’s personality. If you move the right plan along too fast, for your baby, it will appear as though the plan is not working when in fact the only issues is the pace. Look at the cause or roots of sleep roadblocks rather than the problem itself. The cause of one baby’s early mornings or constant night awakenings might not be the cause for another baby. Remember, resist being discouraged by many different opinions on the subject of sleep. Take the information you have gathered and use what you know about your baby to find a plan which seems to fit. If you are having a hard time with this, reach out to a sleep consultant who you feel comfortable with and is NOT one-size-fits-all. This guest post was written by Elissa Gilbertson PCD(DONA). On her website, www.iqbaby.org, parents have access to a free account which includes tools to help understand how their baby sleeps at different ages and tools to help track their baby’s sleep. She also offers many different ways of learning in a virtual format via webinars, pre-recorded classes parents can watch 24/7 as well as other services.